Moderated by Jamie and Zac. 2011-08-29 12:01 am tracinell Hi everybody, lurking tonight, but brought junior mints anyway! you aren't interested in Screenwriting. 2011-08-29 12:01 am mattmdavid My very first #scriptchat! So excited! you're not into screenwriting. I MIGHT be tweeting a lot. 2011-08-29 12:03 am jeannevb Trying to #scriptchat off my cell. No internet bc of #irene. Hi all! 2011-08-29 12:05 am kim_garland Stabilized the homestead enough to pop into #scriptchat - hey all! 2011-08-29 12:05 am mattmdavid @zacsanford2 *sigh* One down, two to go. #scriptchat. 2011-08-29 12:32 am lisamondello Thanks! RT @malber Managers help the entirety of your career. 2011-08-29 12:35 am kellyanelons @joda07 Keep trying! If you can't sell yourself, no one else can either. 2011-08-29 12:35 am Dark_Emergence @GinyMacGregor Two Adverbs has a great article on loglines. 2011-08-29 12:35 am zacsanford2 @KonradStief Everything is relevant to Hollywood's interest. 2011-08-29 12:37 am Jamie_LD Not all contests have merit. There are some that have GREAT merit. Hollywood to meet face-to-face, try www.hcdonline.com for contacts. @thomaslennon and Ben Garant. Insight from REAL pros. Cinderella story but gave me some of the credibility you're looking for. 2011-08-29 12:40 am kellyanelons @joshuastecker @nerdist @thomaslennon Just bought their book. 2011-08-29 12:41 am heroesAREboring @KonradStief Thank you sir. Haven't tried that one yet. 2011-08-29 12:41 am apoeticanomaly @zacsanford2 @beingbrad What does being 'produced" really mean? do is get involved - work as crew on a short, do an internship. 2011-08-29 12:53 am Jamie_LD In just 37 minutes #tvwriterchat will be continuing this "breaking in"
2011-08-29 12:56 am kellyanelons @heroesAREboring Send me an email about what you write. 2011-08-29 12:59 am TVWriterChat In just 30 minutes #tvwriterchat will be continuing this "breaking in"
alone. Feel energized now. Ok back to scene breakdowns. booze, Def Comedy Jam, and the like to now resume. 2011-08-29 1:00 am Sherree_W @jeannevb I was lurking #scriptchat tonight. Wow, learned alot! unsolicited queries for a limited time. 2011-08-29 1:01 am nobull408 @caramumfordfilm You'll have a blast! Toronto is a great film town. 2011-08-29 1:01 am karlabry @authorViviAnna Yes. That would happen only one time. scriptchat" in the subject line. Send it to zac at scriptchat dot com. 2011-08-29 1:04 am elizabethkarr This will make you smile. 'Networking' with Joan Rivers this afternoon. @TaroJ: #scriptchat I would say the purest Sci-Fi film for years was Moon, but how much of the genre is adaptation or sequel at the moment? @Bang2write: @KonradStief @Michael_R_Grant lots of ppl say SF is not a *real* genre, but an arena #scriptchat @davidmelkevik thoughts? @sweettweenie: RT: @Bang2writen@KonradStief @Michael_R_Grant lots of ppl say SF is not a *real* genre, but an arena #scriptchat @davidmelkevik thoughts? @FreddoJr: I'm hopping between to sci-fi hastags tonight #MTOS & #scriptchat. It's very confusing. @TaroJ: #scriptchat So sequels in Sci-Fi and this weeks news of Ridley Scott doing a sequel to the greatest of all time, Blade Runner, excited? @HateTheHate: #scriptchat Moon, Monsters ... they do well but they are not Avatar. Until huge effects become cheap SF will be limited. @TaroJ: @HateTheHate #scriptchat was Avatar as big an impact on studios thinking as star wars? or is it selling 3D more than Sci-Fi? @sweettweenie: #scriptchat What are your favourite/ least favourite sci-fi movies? Why? @TaroJ: #scriptchat favorites? Blade Runner, Alien, Planet Of the Apes, too many to mention but I love the slower ones that make you think. 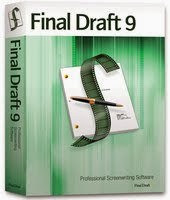 @TaroJ: #scriptchat 10 minutes to go any last minute tips for Sci-Fi writers? 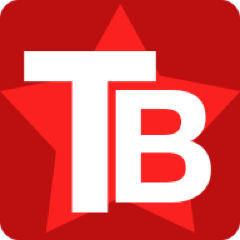 @TaroJ: #scriptchat are new writers put off from Sci-Fi as they think it needs a big budget? @6_tailed_comet: #scriptchat endless sci fi reviews seem to say "...and crudely inserted references to 9/11 slash climate change slash whatever"
@sweettweenie: That went really quick! Thank you all for a great #scriptchat tonight. Soem very interesting views on it. @HateTheHate: #scriptchat I Am Legend is horror derived from an SF base. @TaroJ: #scriptchat wow that time already 140 characters just isn't enough. @whitniverse: @alli_and_that #scriptchat ??? Huh? @Leytonrocks: #scriptchat who is going to frightfest next week? 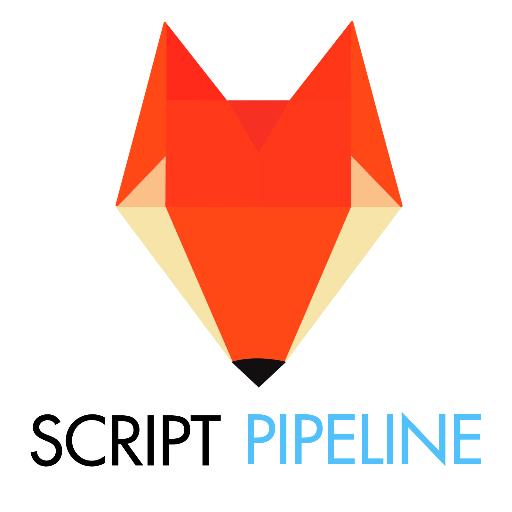 @TheWriteScript: Coming up: #scriptchat. Writers and alcoholics welcome. @heroesAREboring: Going to try and sit in on #scriptchat for the next hour. Non-#screenwriting followers, ignore me for an hour. @elizabethkarr: Beaming in from #renosf to say have fun in #SciFi #scriptchat with @PennyAsh! @SusynEliseDuris: RT @jeannevb let's do both RT @SusynEliseDuris: sci - fi specifically or can we add fantasy into that mix? #scriptchat Woot. @SusynEliseDuris: watched #Dune for upteenth time. Still love it. Love some other nonmainstream ones - #EnemyMine. #scriptchat. @CDominiqueG: @PennyAsh np lady. How goes it #scriptchat I shall be sending you an email tonight sometime. @SusynEliseDuris: @mjarbo there are so many other ones, too. Still like #CapricornOne too. #scriptchat. @Nate_G_Smith: Good morning folk, I'm here for #ScriptChat, I believe it's sci-fi today/tonight… Is that correct? @UnkScreenwriter: @AndreaLMcNeill Me? Hangin' in there... Writing while I watch #scriptchat blaze by me... LOL. @brainyreviewer: @tracinell @beingbrad @gcgeek what do you know, inhabe seen a sci fi movie :) #scriptchat question is #eternalsunshineofspotlessmindone? @andrealmcneill: @AndiWritesAgain Just got to Scriptchat.com and follow the tweet link at the bottom right. That's how I do it. @SPCfilms: @GCGeek dive right in like I'm doing. sci-fi geeks are wanted! :) #scriptchat. @SPCfilms: @GCGeek hell yeah! I'm looking into producing my Lone Gunmen. full blow sci-fi. #scriptchat. and yes its me Dee lol. @SPCfilms: @jeannevb sc-fi needs to make a come back in a big way on screen. I feel like it's a dying genre. #scriptchat. @brainyreviewer: #scriptchat Has anyone seen the Fountain? @whomadewhoprods: #scriptchat Sorry I'm late. Can non-space sci-fi movies be successful? @beingbrad: good night every single #scriptchat person. @LClem71304: #scriptchat Thanks for the education! Lots to think about! @jponcepalmieri: Thank you @jeannevb for #scriptchat ! For those Sci-Fi lovers follow my #webseries @Webseries2012 Good night!! @SPCfilms: I miss good old fashioned sci-fi, aliens and space battles! no space operas that killed sci-fi thanks to syfy killing it. #scriptchat. @SPCfilms: damn that went by too fast. #scriptchat. @ruminski: #scriptchat it doesn't get much love, but A SCANNER DARKLY is an incredibly ingenious adaptation of insanely difficult source material. @SPCfilms: @willentrekin @jeannevb true but time travel done the way I'm doing it, is very simple. ;) #scriptchat. @ruminski: #scriptchat the sci-fi genre has, post STAR WARS, relied way too heavily on simplistic Joseph Campell inspired vapid heroics. TAKE CHANCES. @SPCfilms: I'm sticking to my original plan, Lone Gunmen as a TV web series. seeing as there's so little sci-fi, I'm going for it. #scriptchat. @jeannevb: thank you so much @PennyAsh for being at #scriptchat tonight and having my back!